Emerald is among the most popular and most expensive of all gems. It is a member of the Beryl family that contains Chromium, which gives the Emerald its green color. The word emerald comes from the Greek name Smaragdos meaning "green". 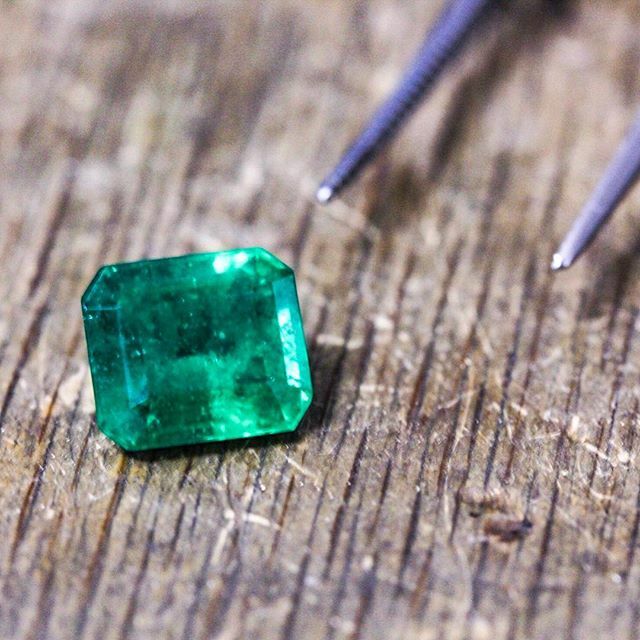 Beryl deposits are found worldwide, but the highly prized Emeralds are among the scarcest of all gems. Most Emeralds are some what flawed, or as gemologists say, "included". These "inclusions" are usually other minerals trapped in the Emerald. In times of old, Emerald was believed to forecast future events. Magicians believed that their powers were useless if there was an Emerald nearby when they cast their spells. Emerald was also believed to quicken the wits and improve intelligence.